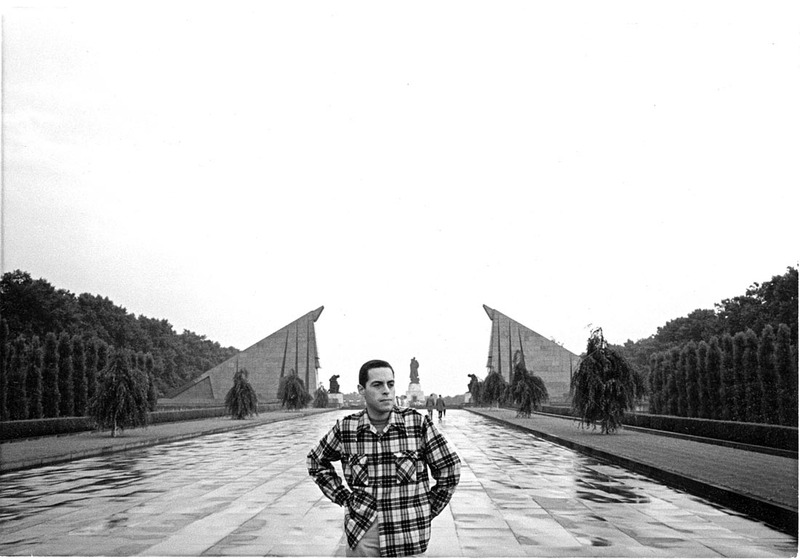 Mark in front of the enormous Russian War Memorial Monument in East Berlin in 1959-60. This monument then epitomized a type of Russian art and memorial that just about everyone dsliked at the time. I suppose, if it still exists, in our modern society of few epitomes, it might find its place among truly monumental enormities of some real emotional quality. The monument is absolutely enormous, dwarfing everything around it. I am at least a city block in front of the two concrete entry slabs on each side of the very wide walk, and at least two city blocks in front of the main statue to the right of my head.